Should you see a “Road Ahead Closed” and diversion sign, often there is a spray tanker and a road mending crew hard at work ahead. They are carrying out vital resurfacing work and the distinctive smell of bitumen is synonymous with road repairs. 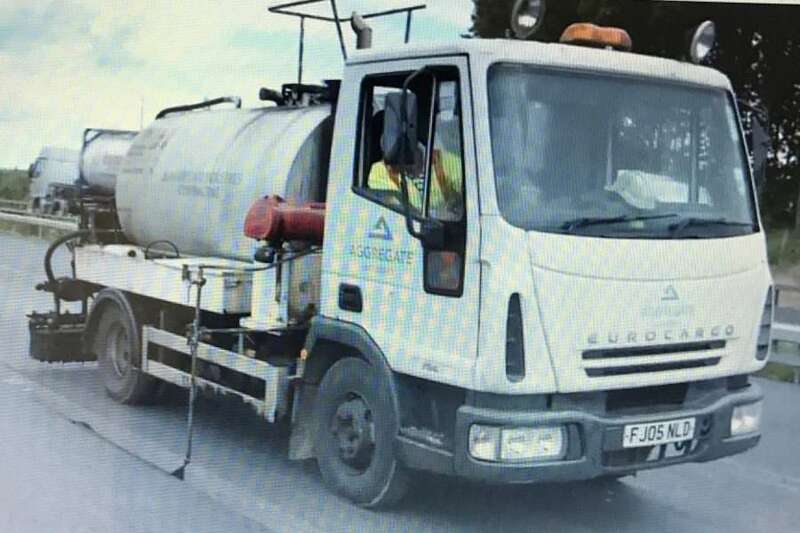 Whenever the roads of our towns and cities or sections of motorway are undergoing a resurfacing programme, the spray tanker is a familiar sight. It is the essential machine for applying many of the highway bituminous emulsions used to seal and strengthen the top layer of a road. This is the first line of defence against the penetration of water whist providing grip for tyres and a smooth ride for motorists. Keeping this section of the road in good condition prevents more invasive and expensive repairs to the structure beneath the surface. Which makes the work of these machines very important to our road infrastructure. The spray tanker offers a versatile and highly accurate distribution of road emulsions. This allows a bond to the existing surface to secure the applied chippings and aggregate. Some machines have extendable arms and apparatus to apply Hot Joint Paint or Polybond emulsions to join vertical joints and seal the surface layer simultaneously. In a live traffic environment involving diversions and contraflow systems this mitigates risks associated with manual applications. The worker is safely inside the cab, rather than exposed to traffic and hot substances; greatly improving health and safety onsite. BituChem have developed a complete portfolio of products for use within a spray tanker. These can be ordered and delivered to contractors. Alternatively, we also have our own contracting division who have the experience and expertise to carry out high quality surface dressing work. To discuss your requirements further, or to get a quote for any BituChem products, please contact us.